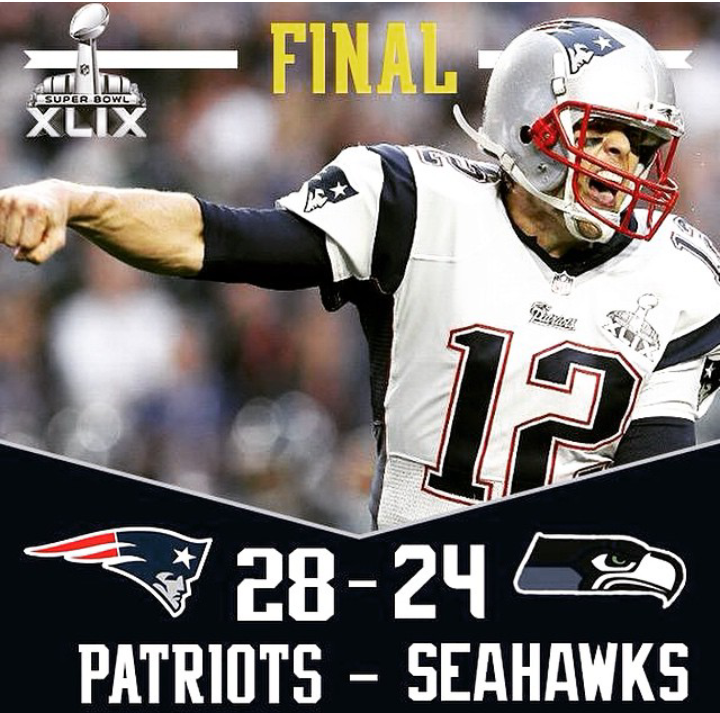 Patriots win Super Bowl XLIX! What a game! Patriots sealed the Super Bowl win last night with an interception on own goal line in the final minute to beat the Seahawks 28-24. Everyone was expecting the Seahawks to run the ball so we could see ‘Beast mode’ but sadly for them, they made the wrong call. Patriots’ Tom Brady now ties Terry Bradshaw and Joe Montana for most Super Bowl wins by a starting QB with 4. Congrats to Tom and the Patriots. 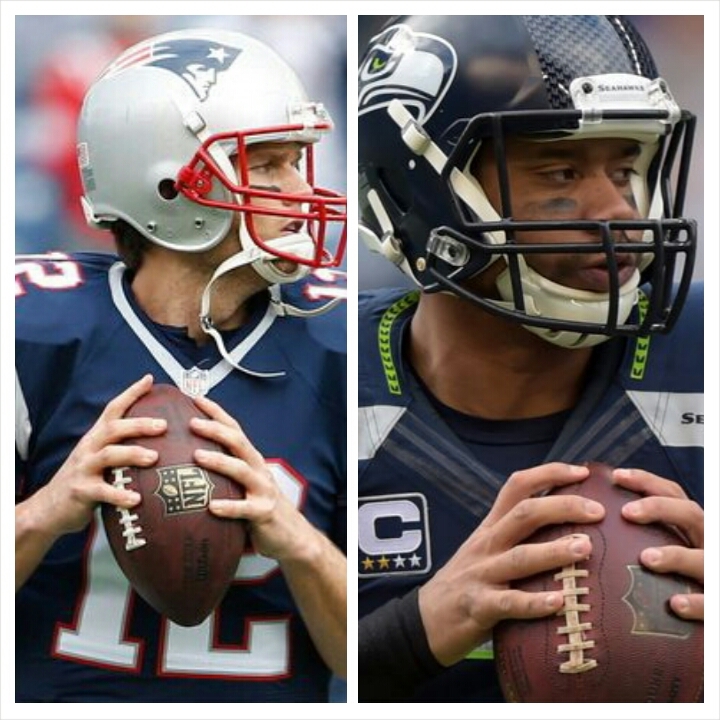 Congrats to the Seahawks and Patriots who head to Super Bowl 49! The New England Patriots slaughtered the Indianapolis Colts, 45-7 to win the AFC Championship and face NFC Champs and Super Bowl 48 Defending Champs, Seattle Seahawks in Super Bowl 49 on February 1. The Seahawks came from a 16-0 deficit with the Green Bay Packers to win in overtime 28-22, definitely the game of the day. The Seahawks got pretty beaten up, Sherman with an elbow injury scheduled for an MRI today and others. Can the Seahawks still win 2 consecutive Super Bowls? It will be a tough one. May the Best Team win! 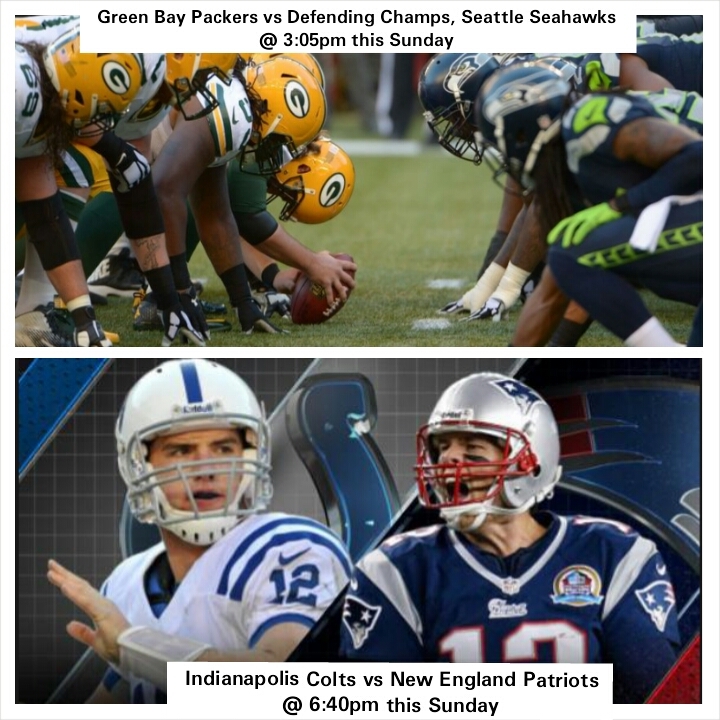 Are you ready for NFL Sunday?! Who will head to the Super Bowl?